The du Boirs Boutique Lodge functions and wedding venue in Durban, boasts a retreat of perfectly manicured gardens engulfed by the soothing sounds of our cascading creek. Immerse yourself in the luxury of our elegant and sophisticated backdrop. Be serenaded by the sweet scent of lavender blossoms. Although close to the city, we are far enough from the madding crowd. If you are looking for a beautiful garden wedding or a stylish indoor wedding or perhaps a wedding with a touch of flair and pizzazz, the du Boirs can cater for your every need. Our venue can cater for weddings of 200 or more guests. We have extensive experience in wedding services and planning. 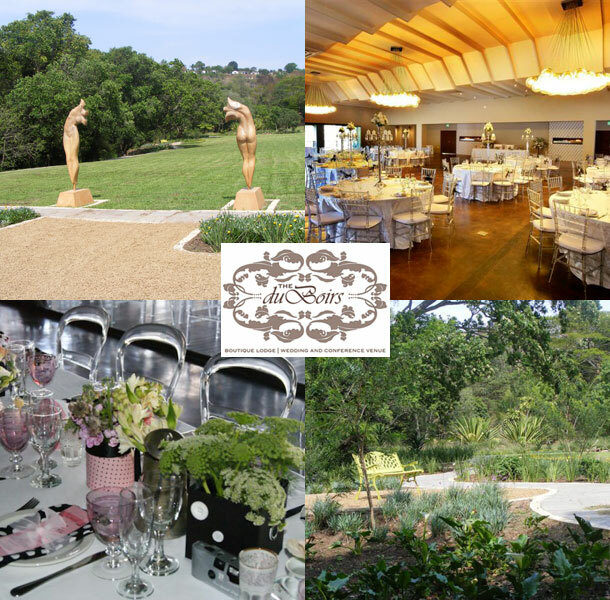 Our wedding packages include the use of a manicured garden and function hall. Tie the knot under our gazebo overlooking the dam or against a backdrop of our cascading waterfall. Let your guests enjoy their welcome drinks on the terrace overlooking our beautiful landscaped gardens. Our professional on-site event manager will ensure that your event is slick, impeccable and that your every expectation is met. 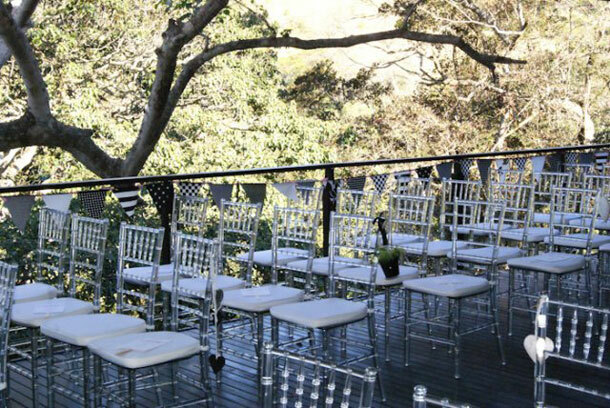 To book your wedding at this gorgeous venue visit The du Boirs Boutique Lodge for further details or to send an enquiry.